Debuted as a New York Times #1 Bestseller! 2011 International Book Awards Winner! 2011 USA Best Books Awards Winner! I looked at the producer and asked what in the world she was talking about. I understood what she meant by “that kind of book” — an unauthorized biography written without the subject’s cooperation or control — but I was perplexed by her reference to my having written a book about her relatives. The only biography I had written at the time was the life story of Jacqueline Kennedy Onassis (Jackie Oh! ), and my research had not turned up with any Winfrey relatives in that family tree. I jotted down the exchange on the back of my book-promotion schedule, just in case the publisher asked how things had gone in Baltimore. I had no idea that twenty-five years later Oprah Winfrey would be a supernova in our firmament, and I would devote four years to writing “that kind of book” about her. Yet I’ve never felt completely comfortable with the term unauthorized, probably because it sounds slightly nefarious, almost as if it involves breaking and entering. Admittedly, biography is, by its very nature, an invasion of a life — an intimate examination by the biographer, who tries to burrow into the marrow of the bone to probe the unknown and reveal the unseen. Despite my discomfort with the term, I understand why the unauthorized biography raises the hackles of its subjects, for it means an independent presentation of their lives, irrespective of their demands and decrees. It is not bended-knee biography. It does not genuflect to fame or curtsy to celebrity, and powerful public figures, accustomed to deference, quite naturally resist the scrutiny that such a biography requires. Oprah Winfrey was no exception. I told Ms. Halliday that I needed to be accurate in what I wrote and asked if Ms. Winfrey would be willing to check facts. Ms. Halliday said, “If you have questions of fact, you can reach out to me.” So I tried, but each time I called Harpo, Ms. Halliday was unavailable. In the end it was Oprah herself who turned out to be a major source of information. In lieu of speaking to her directly and having to rely on fragmented memories, I decided to gather every interview she had given in the last twenty-five years to newspapers and magazines and on radio and in television in the United States and the United Kingdom, including Canada and Australia. I filed each — and there were hundreds — by names, dates, and topics, for a total of 2,732 files. From this resource I was able to use Oprah’s own words with surety. Laid out on a grid, the information from these interviews, plus the hundreds of interviews I did with her family, friends, classmates, and coworkers, provided a psychological profile that I could never have acquired in any other way. Gathering these interviews given over more than two decades took considerable time, but once assembled and catalogued, they were invaluable in providing her voice. 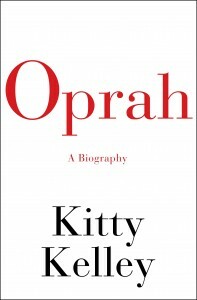 Throughout this book I have been able to cite Oprah in her own words, expressing her thoughts and emotions in response to events in her life as they occurred. Sometimes her public reflections did not jibe with the private recollections of others, but even the truths she shaved, as well as those she shared, added dimension to her fascinating persona. Being one of the most admired women in the world, Oprah Winfrey is adored by millions for her many good works. She is an exemplar of black achievement in a white society, an African American icon who broke the barriers of discrimination to achieve unparalleled success. In a world that worships wealth, she is idolized not simply because of her net worth (approximately $2.4 billion), but because she made her fortune herself, without benefit of marriage or inheritance. Within publishing she is heralded as a heroine for bringing the joys of reading to millions, enriching the lives of writers as well as readers. Yet as much as Oprah is loved, she is also feared, which is not unusual among society’s giants. In writing about Frank Sinatra years ago, I found many people afraid to talk about a man connected to organized crime for fear of losing their limbs, or even their lives. With Nancy Reagan and the Bush family dynasty, the fears were of losing presidential access or a federal job, plus getting clobbered with an IRS audit. With the British monarchy, it was the fear of losing royal approbation or a possible knighthood. Writing about Oprah exposed a different kind of fear. Since 1995 she has required all her employees at Harpo and later at O, The Oprah Magazine, to sign confidentiality agreements, swearing never to reveal anything about her, her business, her personal life, her friends, or her associates to anyone at any time. Almost everyone who enters her realm must sign these nondisclosure contracts, and the prospect of being sued for breaking them keeps many — but not all — people silent. Surprisingly, I discovered that Oprah is as frightened of the unvarnished truths from the lips of her former employees as they are of her potential lawsuits. Aside from those chained to confidentiality agreements, there were others afraid to talk simply for fear of offending someone famous, much like those who admired the fabled emperor’s new clothes. This, too, was not unusual, except among journalists, normally as brave as marines and supposedly immune to celebrity worship. Considering that Oprah is the gold standard for marketing, a certain amount of hesitancy is understandable on the part of anyone who wants to sell products on her show, including journalists who long to write books that she will bless. When I called Jonathan Van Meter to ask about the effusive cover story he had written on Oprah for Vogue, he said, “I just can’t talk to you … yeah, maybe I am scared … it just wouldn’t help me to help you.” He admitted — reluctantly — that he had put “all the negative bits” from his Vogue research into a profile of Oprah he later published in The Oxford American. “Not much circulation there,” he said nervously. When I called Jura Koncius of The Washington Post, she said, “I knew Oprah before she was Oprah, when she wore an Afro … Every year at Christmas she would send a limo to get me to come on her Baltimore show to talk about holiday gifts … but I don’t want to discuss my experiences, and I certainly don’t want to be included in your long list of acknowledgments,” Duly noted, Ms. Koncius. My researcher received an even more heated response from Erin Moriarty of CBS-TV, who had roomed with Oprah for a couple months in Baltimore. Since then Ms. Moriarty has regaled friends with her tales of Oprah during the time, and after hearing all those stories from others, I requested an interview. Unwilling to go on the record, Ms. Moriarty was less than cordial when she learned that her Oprah stories had traveled so far and wide. Biographies, whether authorized or unauthorized, could never be written without the help of journalists, which is why I reached out to so many. Their work provides the first draft of history and lays the foundation for future scholars and historians. So I am grateful for the generosity I received, especially in Chicago, where journalists have been covering Oprah for twenty-five years and know her well. I also appreciate those too frightened to help, because their fears underscored the effect that Oprah has had on much of the media. Over the years the woman who appears so warm and embracing on television has become increasingly wary and mistrustful of those around her, and from the research I’ve done for this book, I can certainly understand why she says she sometimes feels like an ATM. When her former lover from Baltimore was called for an interview, he said, “I need a cut of the take to talk.” I wrote to him saying that I do not pay for interviews because its casts a cloud on the information being imparted, making it potentially unreliable and suspect. Such a transaction destroys the trust the reader must have in the writer that the information being disclosed is fair, honest, and accurate, and not coerced in any way or influenced by money. The man responded by email saying he really had not asked to be paid to talk about Oprah, and had never been paid to talk about her in the past, a claim later disputed by a tabloid editor. During the course of writing I also received a call from a Chicago attorney representing a client who claimed “to have the goods on Oprah” and wanted to sell me his information. I was curious to ask if his client, who had worked with her, had signed one of Oprah’s binding confidentiality agreements. “No,” said the lawyer. “He’s free and clear.” His client’s asking price: $1 million. Again, I said I do not pay for information. I ended this book feeling much the way I did when I started: full of admiration and respect for my subject, and with the hope that this unauthorized biography will be received in the same spirit, if not by Ms. Winfrey herself, then by those who have been inspired by her, particularly women. For I’ve tried to follow President Kennedy’s true compass and penetrate the myth in order to answer the eternal questions: What’s she really like? In the process I found a remarkable woman, hugely complicated and contradictory. Sometimes generous, magnanimous, and deeply caring. Sometimes petty, small-minded, and self-centered. She has done an extraordinary amount of good and also backed products and ideas that are not only controversial but considered by many to be harmful. There is a warm side to Oprah and a side that can only be called as cold as ice. She is not a First Lady, an elected official, or even a movie star, but she is a unique American personage who has left an indelible mark on society, even as she has sought to change it. She has made the American dream come true — for herself and for many.